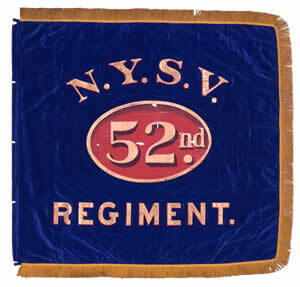 52nd New York Volunteer Infantry "German Rangers", or "Sigel Rifles"
Welcome to the home thread of the 52nd New York Volunteer Infantry, company A, also known as the “German Rangers” or the “Sigels Rifles”. We are based off the real 52nd, a company composed of almost completely German immigrants. While mostly composed of Germans, different people of many other nationalities are welcomed here. We strive for historical accuracy and teamplay, and want to push a family-like atmosphere. The 52nd was an all-German regiment recruited entirely in New York City in the fall of 1861. By the time it mustered out in July of 1865, the regiment had participated in all of the major campaigns of the Army of the Potomac, except for the battle of First Bull Run. 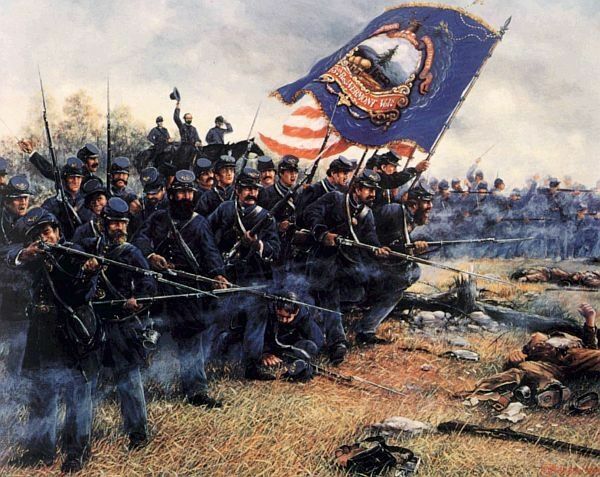 The 52nd participated in some of the bloodiest fighting during the entire war, including such places as the Bloody Lane at Antietam, Maryes Heights at Fredericksburg, the Wheatfield at Gettysburg and the Mule Shoe at Spotsylvania. The 52nd represents the most overlooked ethnic group of the Civil War. The Germans contributed about 175,000 men to the cause of the Union. New York alone had more than twenty units comprised entirely or with a large majority of Germans. Many other units would have had Germans in their ranks as well. Despite the bad reputation the Germans have because of the disaster at Chancellorsville and the first day of Gettysburg, they more than proved themselves on the field of battle. Though many of the German units in the Army of the Potomac served in the 11th Corps, two all-German units served in the 2nd Corps. These two regiments were the 7th NY and the 52nd NY. They both fought alongside many other famous units of the 2nd Corps, including the Irish Brigade, and earned the admiration and praise of many. The 52nd NY served in the 1st Division of the 2nd Corps from the time it was formed to the time it was disbanded. The 2nd Corps was created on March 13, 1862 by General Orders No. 101. Major General Edwin V. Sumner became its first commander, while Brigadier General Israel B. Richardson was given command of the 1st Division. The 2nd Corps was disbanded on June 28, 1865, after compiling an impressive combat record during the war. Within its ranks served some of the best units and commanders in the Army of the Potomac. The 52nd NY served under such commanders as Winfield Hancock, Nelson Miles, Israel Richardson, Edwin Sumner, Samuel Zook, Francis Barlow, Clinton MacDougall, and William French. 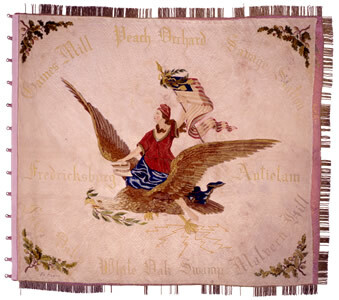 On March 21, 1863, the corps in the Army of the Potomac were assigned distinctive insignias. This was a way to discourage straggling and cowardice by making it easier to tell what unit soldiers belonged to. This also helped raise the morale of the army. The 2nd Corps was assigned the trefoil, which resembled the club in a deck of cards. Each division had a color: red for the 1st Division, white for the 2nd, and blue for the 3rd. The red trefoil that the 52nd wore, like the rest of the 1st Division, was both a source of pride for the men who wore it and a sign of their status as some of the best soldiers in the Army of the Potomac. The 3rd Brigade of the 1st Division, 2nd Corps was formed on the same days as the rest of the 2nd Corps, with Brigadier General William French as its first commander. 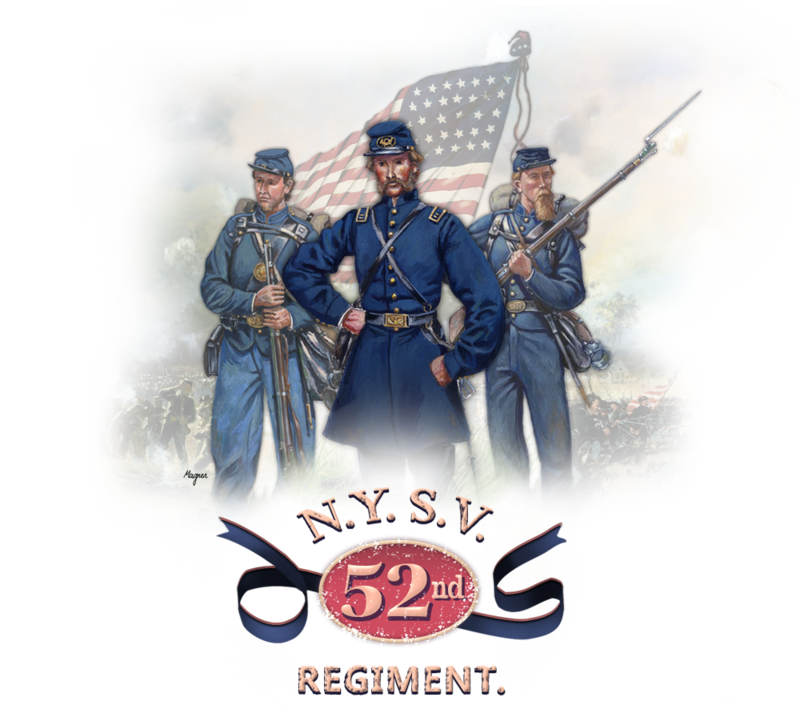 The 52nd NY and one other regiment were the only two regiments that served in the brigade until they were mustered out or until the brigade was disbanded. Though these other units only spent part of their service in the brigade, they all remained in the 1st Division for the rest of their service. The 111th, 125th and 126th NY regiments, recruited in Troy, NY or Central New York State, had been forced to surrender at Harpers Ferry in September 1862. Despite the stigma attached to them, they proved themselves hard fighting regiments at Gettysburg and the battles of 1864 and 1865. Captain The Captain is the highest rank in the company and their leader and their representative. He decides how the company works and look, but he also listens to the opion of the other officers and the company itself. He also leads the company into battle. Der Captain ist der höchste Rang in der Kompanie und somit ihr Leiter sowie ihr Repräsentant. Er entscheidet über die Strukturen der Kompanie, holt aber hierfür die Meinung der anderen Offiziere und der gesamten Kompanie ein. Desweiteren führt der Captain die Kompanie im Gefecht. First Lieutenant The 1st Lt is the second in command of the company. He replaces the captain if the captain is not there, and he’s allowed to take the lead in battles. He represents the captain when the captain is unavailable and when tough decisions need to be made, he advises the captain. He is allowed to give promotions to company members. Der 1st Lieutenant ist 2nd in command der Kompanie. Er ist stellvertretender Kompaniechef und ist berechtigt im Gefecht die Führung zu übernehmen. Der 1st Lieutenant vertritt den Captain in seiner Abwesenheit. Bei wichtigen Entscheidungen ist Rücksprache mit diesem zu halten. Darf Beförderungen innerhalb der Manschaftsränge vornehmen. Second Lieutenant As the first officer rank in the company, the 2nd Lt is allowed to lead the men into battle. When both the captain and the 1st Lt are unavailable, he is, as the highest officer, the leader of the company. 1st Lieutenant ist er, als ranghöchster Offizier, Vertreter der Kompanie. First Sergeant The 1st Sergeant is the highest non-commissioned office and has the highest chance to become a real officer. The 1st Sergeant can in special situations lead the the company. His task is to educate and coach the other non-commissioned officers. He passes on the orders of the officers to the rest of the company and he takes care of the discipline in the company. die anderen Unteroffiziere zu unterweisen und anzuleiten. Als Unteroffizier sorgt er für die Umsetzung der Befehle und sorgt für Ordnung in der Kompanie. in die Strukturen der Kompanie. Corporal The corporal is the first and lowest non-commissioned officer. He aids the sergeant in everything, ranging from training the new recruits to helping in keeping the discipline. Der Corporal dient als erster Unteroffiziersrang. Als Unteroffizier sorgt er für die Umsetzung der Befehle und sorgt für Ordnung in der Kompanie. Desweiteren vertritt der Corporal ggf. den Sergeant im unterweißen der neusten Mitglieder. Private The private is the standard rank in the company. As the first soldier in battle is the private a full member of the company and because of this he is allowed to vote on issues in the company. The private knows and respects the rules of the company and is fully participating in the ‘living together’ of the company and he contributes to this. Der Rang des Private ist der Standardrang der Kompanie. Als erster Manschafter ist er ein volles Mitglied der Kompanie und somit wie jeder ranghöhere Stimmberechtigt. Der Private hat die Regeln und das zusammen"leben" innerhalb der Kompanie verinnerlicht und trägt mit dazu bei. Volunteer The volunteers is not yet a real member of the company. The volunteer would like to join the regiment and the volunteer and the company will try to see if they fit together. When there are important discussions, the volunteer is not allowed to vote, but if the result of the vote is not clear, the volunteer can be asked to participate in the voting. wenn sich abzeichnet, dass er ein volles Mitglied wird. Below are the essential editions to the rank of Private, training hard and proving oneself for further promotions. Ranger The level of ranger is given to the strongest and the most loyal soldier of the company. The rangers are the elite of the company and is an important part of each battle. Because he’s an experienced soldier, he will always be a canidate for promotions. Veteran The Veteran has collected important experience which is shown by his great performances in battle battles and is a loyal soldier of the company, and is an example to all privates. Der The Veteran hat bereits wichtige Erfahrungen gesammelt und ist ein loyales Mitglied welches sich durch sein vorbildhaftes Benehmen im Gefecht auszeichnet. Regular The Regular has successfully completed the fundamental training. The Regular knows all maneuvers and fits perfectly into our ranks. The Regular can't wait to prove oneself in the upcoming battles. Der Regular hat die Grundausbildung erfolgreich abgeschlossen. Er kennt die Manöver und passt hervorragend in die Kompanie. Der Regular brennt darauf sich in den kommenden Schlachten zu beweisen. Historical original roster of the 52nd! Find a Name if you want. Re: 52nd New York Volunteer Infantry "German Rangers", or "Sigel Rifles"
This thread is still work in progress. This is actually our War of Rights thread. i will modify this thread in the next days. Nice thread best of luck!